Below you fill find all funeral homes and cemeteries in or near Neosho. Neosho is also known as: Newton County / Neosho city. Their current mayor is Mayor Donald Troy Royer. Zip codes in the city: 64850, 64853. Some of the notable people born here have been: David Edwards (golfer), and Allen Barbre (american football player). 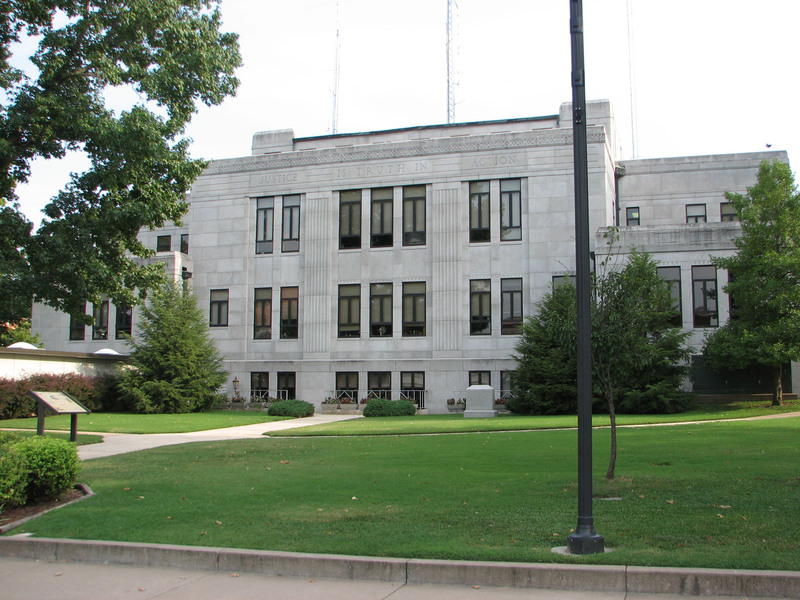 Neosho (/niːˈoʊʃoʊ/; originally [niˈoʒo] or [niˈoʒu] is the most populous city in Newton County, Missouri, United States, which it serves as the county seat. With a population of 11,835 as of the 2010 census, the city is part of the Joplin, Missouri Metropolitan Statistical Area, a region with an estimated 176,849 (2011) residents. Neosho lies on the western edge of the Ozarks.The name "Neosho" is generally accepted to be of Native American (most likely Osage) derivation, meaning "clear, cold water", referring to local freshwater springs. The springs attracted varying cultures of Native American inhabitants for thousands of years. It was also ideal for the later white settlers, who founded the city in 1833. It was incorporated as a municipal government in 1878. Nicknamed "City of Springs", Neosho has long served as an agricultural center and more recently as home of the National Fish Hatchery. It is known locally as the "Gateway to the Ozarks", and since 1957 as "the Flower Box City". It was noted on March 31st, 2019 that Mary Beth Knight passed away in Neosho, Missouri. Knight was 69 years old. Send flowers to share your condolences and honor Mary Beth's life. It was disclosed on April 27th, 2018 that Lena Joan Gibbens passed on in Heavener, Oklahoma. Gibbens was 77 years old and was born in Neosho, MO. Send flowers to share your condolences and honor Lena Joan's life. It was disclosed by Texarkana Gazette on November 26th, 2017 that Mansel Z "Mike" Mitchell died in Texarkana, Texas. Mitchell was 81 years old and was born in Neosho, MO. Send flowers to express your sympathy and honor Mansel Z "Mike"'s life. It was reported by The Daily News on October 31st, 2017 that Martha L Hartman (Purkiss) perished in Vancouver, Washington. Ms. Hartman was 75 years old and was born in Neosho, MO. Send flowers to express your sympathy and honor Martha L's life. It was revealed by Topeka Capital-Journal on May 10th, 2017 that Mona M Keitner (Wyatt) passed on in Johnson Co, Kansas. Ms. Keitner was 95 years old and was born in Neosho, MO. Send flowers to express your sympathy and honor Mona M's life. It was written by Topeka Capital-Journal on February 15th, 2017 that Lena Mae Hayes (Michael) passed on in Topeka, Kansas. Ms. Hayes was 77 years old and was born in Neosho, MO. Send flowers to express your sympathy and honor Lena Mae's life. It was reported on November 30th, 2016 that Leann Ackerman (Osman) passed on in Neosho, Missouri. Ms. Ackerman was 49 years old and was born in Searcy, AR. Send flowers to share your condolences and honor Leann's life. It was revealed on November 2nd, 2016 that Earlene Adele Carnation (McKenna) passed away in Neosho, Missouri. Ms. Carnation was 80 years old and was born in San Francisco, CA. Send flowers to express your sorrow and honor Earlene Adele's life. It was disclosed by Peoria Journal Star on July 24th, 2016 that Helen L Adams (Roelofson) died in Pekin, Illinois. Ms. Adams was 93 years old and was born in Neosho, MO. Send flowers to express your sympathy and honor Helen L's life. It was noted by The Herald on May 1st, 2016 that Reginald Earl Kelley perished in Arlington, Washington. Kelley was 86 years old and was born in Neosho, MO. Send flowers to express your sorrow and honor Reginald Earl's life. Hearrell conducted a school on Hickory Creek, which at times numbered forty pupils. By 1835, at least three schools had been established along Shoal Creek and a Mr. Soon afterward came Mathew H. Education received early attention in the county. Rev. The official website for the city of Neosho is http://www.neoshomo.org/. JOPLIN, Mo. Jim Bryson, keyboardist for the Christian band MercyMe ... We solicited questions on the Globes Facebook page, and asked the following to Bryson: Barb Lake, Neosho: How do you balance your career and touring with family? Find funeral directors & Funeral Directors in Neosho, MO. Read business reviews, find driving directions, and more. funeral directors on YP.COM. Listing all funeral homes in Neosho, Missouri so you can easily send flowers to any location (same day delivery) or find any funeral service. Listing all cemeteries in Neosho, Missouri so you can easily send flowers to any location (same day delivery) or find any funeral service. We work with local florists and flower shops to offer same day delivery. You will find budget sympathy flowers in Neosho here. Our funeral flowers are cheap in price but not in value. What Does a Cremation Oven Look Like?